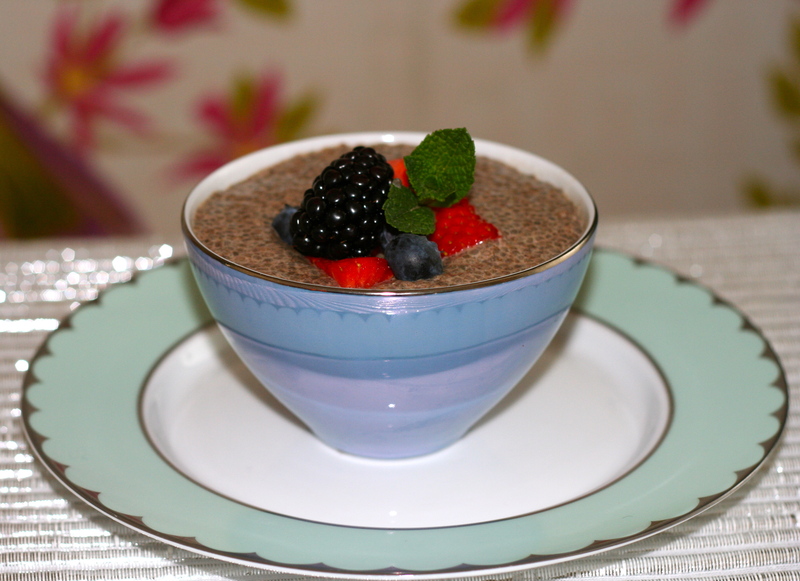 This is a super scrummy dessert packed full of healthy omega fats. 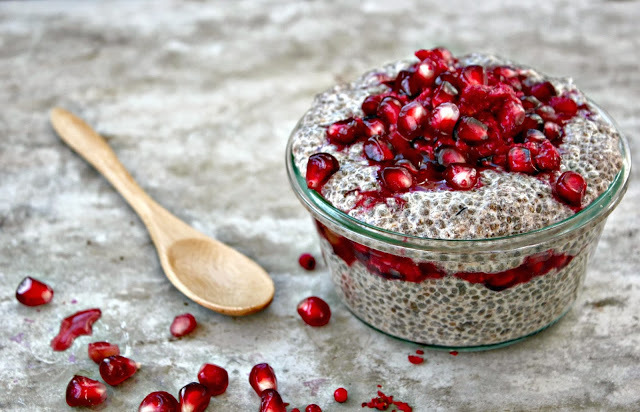 Chia seeds are loaded with antioxidants, vitamins, minerals, and fiber and are the richest plant source of Omega-3. They are highly hydrophilic, capable of absorbing 10-15 times their weight in water, and of great help in keeping bodies hydrated. Another special attribute is that they slow down how fast our bodies convert carbohydrates into simple sugars, which is good news when trying to stabilise blood sugar levels to prevent binge eating! Whisk all the ingredients together apart from the chia seeds. Place chia seeds in large bowl and pour mixture over them, begin to whisk until the mixture thickens with no clumps. Pour into serving bowls and leave in the fridge for hour and a half for the mixture to set. Garnish on serving. You can adjust the sweetness. Coconut Manna (creamed coconut) is a great addition to this to make it nice and creamy. Also raw cacao powder can be added to get a healthy chocolate hit! The nut milk should be homemade, but if it’s not possible to make it, use a store-bought unsweetened brand. Hi Kirsten, Yes you can add any liquid really. Just make sure the dairy milk is organic as hormones and antibiotics are in inorganic milk. I was so excited to find this recipe. I’ve been hoping to find a faster and easier version of a recipe I saw in a magazine a while ago, and this is it! Chilling right now, smells delicious, can’t wait to taste. Thanks a million! Hi Erin, Thanks for your lovely comment! How did you find it?